Ipswich Town are now unbeaten in six games following their 2-0 win against Bristol City last Saturday, 28 August. Goals from Tamas Priskin and new signing Jason Scotland gave Ipswich Town three more points taking the club into the top three of the championship. The club has managed to notch up a total of ten points - a marked improvement on last season when it took until the end of October to achieve that tally. Roy Keaneâ€™s side has chalked up four away wins in its current positive run, the first time that has been achieved in the history of the club. Ipswich Town will now go into this weekâ€™s international break on a high. 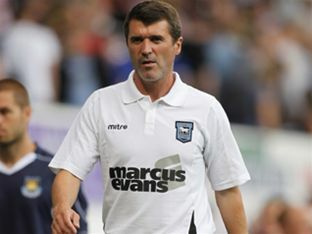 Keane said he is hoping to maintain the teamâ€™s winning form. â€œMomentum is an important factor in any sport and obviously we want to keep that going into the two week break. The downside of the break is that we have players going away and we hope they come back clear of injury,â€� he told the club website. Ipswich Town Football Club Launch Five year Academy Plan.